It’s time for the latest contest from Collector-ActionFigures.com, and we couldn’t be more excited about this one. When it comes to action figures, Hot Toys makes the best in the world, and they’ve finally started on Star Wars with the Luke Skywalker (Bespin Outfit) figure. And we’re giving it away. You could win this $300 prize, which includes two complete figures, a load of accessories, and the high quality sculpting, paint, and design that only Hot Toys offers. 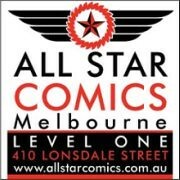 For your chance to win, just complete a free membership registration with Collector-ActionFigures. It only requires a minute to register and doesn’t cost a dime, but make sure you go all the way through the entire registration process including the email activation. 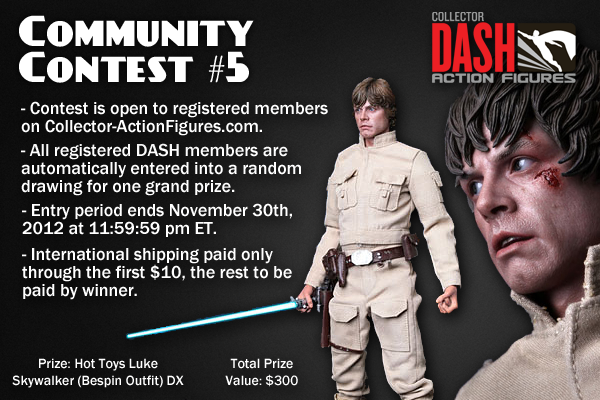 Every account automatically earns an entry, and you’re getting the ultimate action figure resource that is the DASH catalog for free. You might be adding one amazing figure to your digital collection on DASH in no time. Until then, may the force be with you, and good luck.